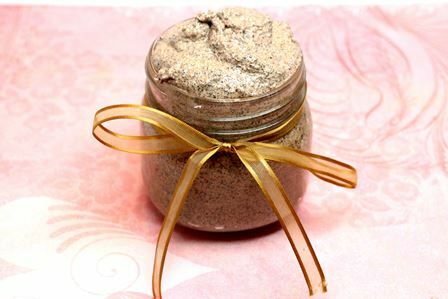 Check out 5 amazing home remedies for natural bath and beauty essentials. 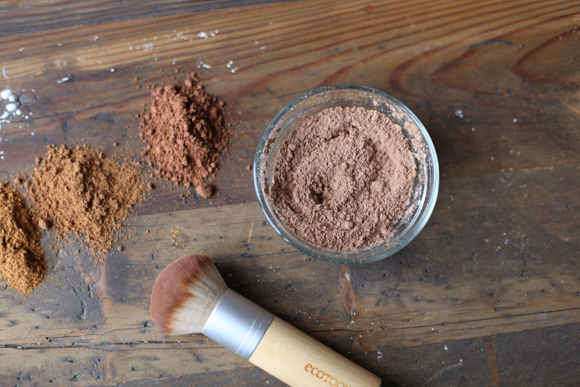 Now get a glowing skin and luscious lips with these DIY beauty recipes! Our grandmothers and mothers would be veritable treasure houses of beauty secrets from the kitchen. But we are going a step ahead and modernizing age-old wisdom into some ready-to-use products for the beauty-conscious women of today. The ease with which you can make most cosmetics and grooming products using natural ingredients has to be experienced to be believed. The recipes mentioned here use ingredients that are everyday items, nothing fancy or unrecognizable. These homemade concoctions are inexpensive and moreover, completely safe, because they use completely natural ingredients. 1. 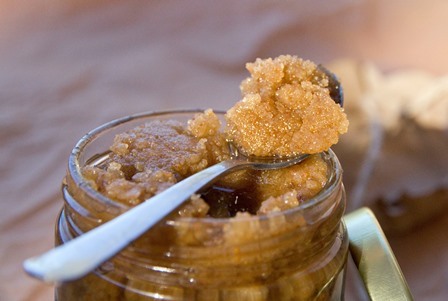 Almond and Sugar Scrub: Not only will this homemade scrub nourish your skin and cleanse it, but if some accidentally falls into your mouth, it tastes superb too. What’s more, it is just so light on the pocket and works like a dream. All you need to do is combine a cup each of coarsely blended almonds and brown sugar with half a cup each of honey and pure almond oil in a sterilized jar and stir thoroughly until mixed. You can store this in the fridge for upto a month, taking it out just 20 minutes before using. Works best when applied on skin dampened with warm water. 2. 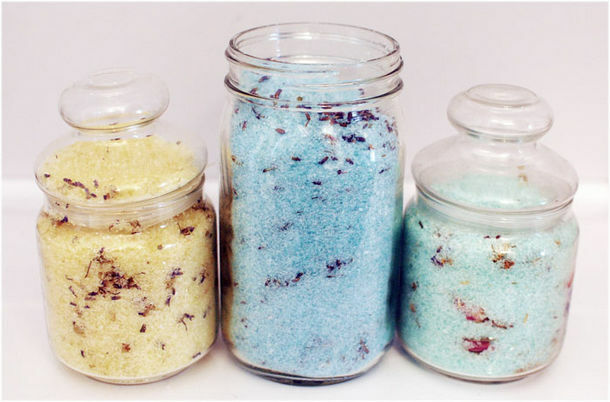 Bath Salts: If there is one bath product that instantly makes you feel relaxed and pampered at the same time- it is bath salts. They feel rather luxurious too- whether you are soaking in the tub or putting a handful in a bucket to soak your feet. And they are so easy to make that you could even get your kids to make their own. The combination of mineral-rich salts and essential oils help ease the stress and drain out toxins from our body and also acts as mood improvers. 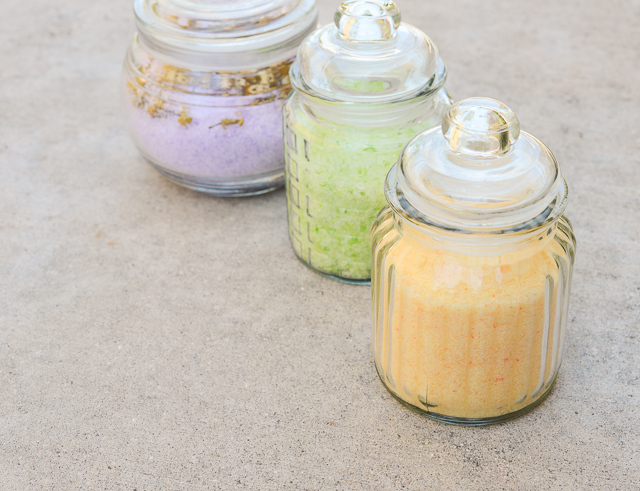 To create a basic bath salts base, simply mix a cup each of coarsely powdered Epsom, sea and rock salt with a tablespoon of milk powder. To create a unique fragrance version, add 3-5 drops of food coloring and 8-10 drops of essential oils. Try eucalyptus to stimulate the senses, peppermint to relieve fatigue, sandalwood to dispel tension or ylang ylang to create a sense of happiness. You could even add dried petals of flowers such as rose, jasmine, marigold, lavender and so on. Spread on cookie sheet and let dry for 24 hours before storing in an airtight container. 3. 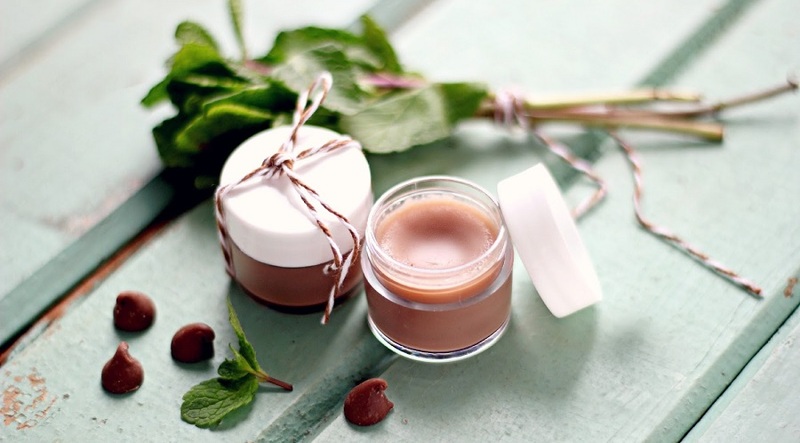 Homemade After-Eight Lip Gloss: To make a handy lip gloss that tastes of mint and chocolate is easy-peasy. Combine one teaspoon each of coconut oil, pure almond oil and cocoa butter with 3-4 drops of pure Vitamin E oil, a drop or two of pure peppermint extract and half a spoon of semisweet chocolate chips in a small heat-safe bowl (glass or metal is good) and set aside. Place a small saucepan with about 1 inch of water in it over medium-low heat, and heat until the water is steaming and simmering. Set the bowl on top of the steaming pot of water, taking care that the bottom of the bowl doesn’t touch the water. Using a spatula, slowly melt the ingredients until they are melted and thoroughly combined. This should take about 5 minutes. When the ingredients are combined and the mixture is smooth, pour the lip gloss into a sterilized small container and allow to cool to room temperature until solid, about 1 hour. 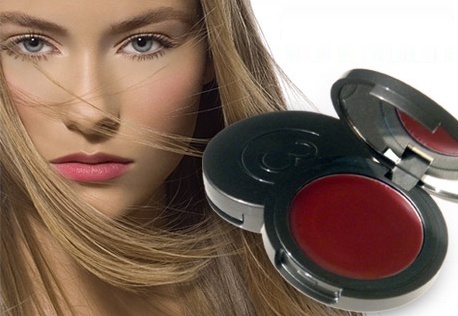 Store the lip gloss in your purse or in the fridge, but be cautious that it will melt under hot temperatures! Apply with your finger or a small brush. 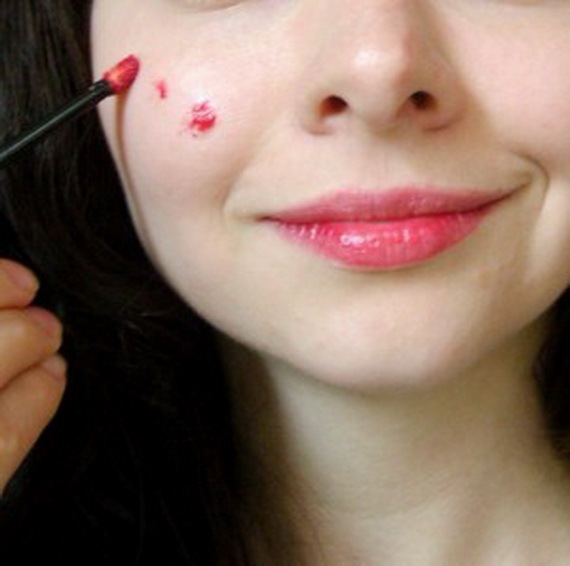 The lip gloss should keep for up to two months. 4. 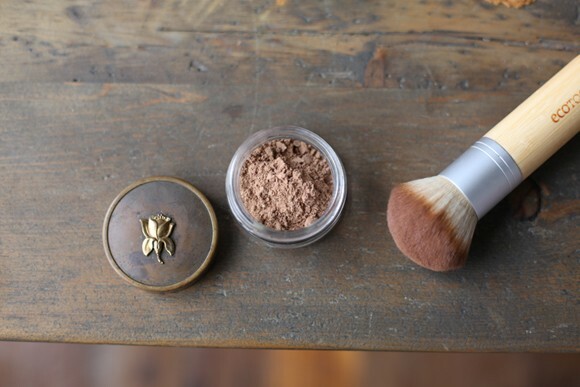 Natural Bronzer or Blush: Natural bronzer and blush can be easily made with a base of arrowroot or even cornstarch by adding cocoa powder and cinnamon to get a darker shade. You can also mix dried and powdered beet root (in the dehydrator) or dried hibiscus flowers to add a pink tone which works well as long as you can very finely powder them. To make it more compact, add 2-3 drops of lavender essential oil so you can pack it in an empty compact case or you could store in a shaker makeup container. 5. Lip & Cheek Stain: To make a homemade product that does double duty by coloring your lips as well as adding a flush to your cheeks, you only need half a medium-sized beetroots and two tablespoons of vegetable glycerin. Heat using a double boiler or you can use a pyrex dish inside of a pot filled a quarter of the way up with water. Boil the water and then turn the heat to the point where the water will be creating gentle bubbles under the pyrex dish. Place the glycerin and the chopped beets into the pyrex dish and heat on the stove for 20 – 30 minutes. By then the beets should have softened a little and the glycerin should be a beautiful vibrant red shade. Place the liquid and the beets through a sieve and pour the liquid into your chosen recycled pots. This stain can be stored for a week.